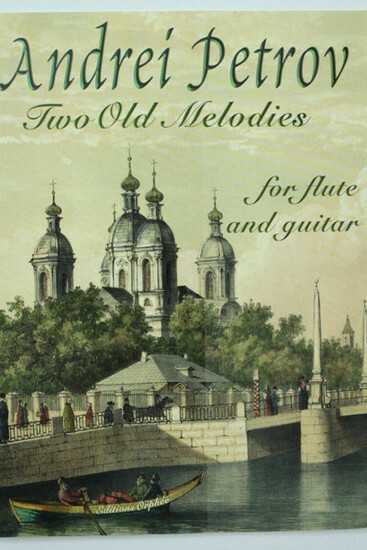 This beautiful piece, "Two Old Melodies For Flute And Guitar", will be perfect for your next performance. Written for mixed ensemble, this folio contains music for flute, guitar, violin, viola, cello, oboe, clarinet, English horn, and bassoon. This charming Petrov piece can by played by a flute and a guitar, or by a flute with any of the other instruments listed above. This piece is a great way to add a touch of class to your performance while showcasing your talent at the same time!